Comfort and Joy Quilted Vest - Stori Anne Co.
100% Cotton. 80% Polyester/20% Cotton Lining. 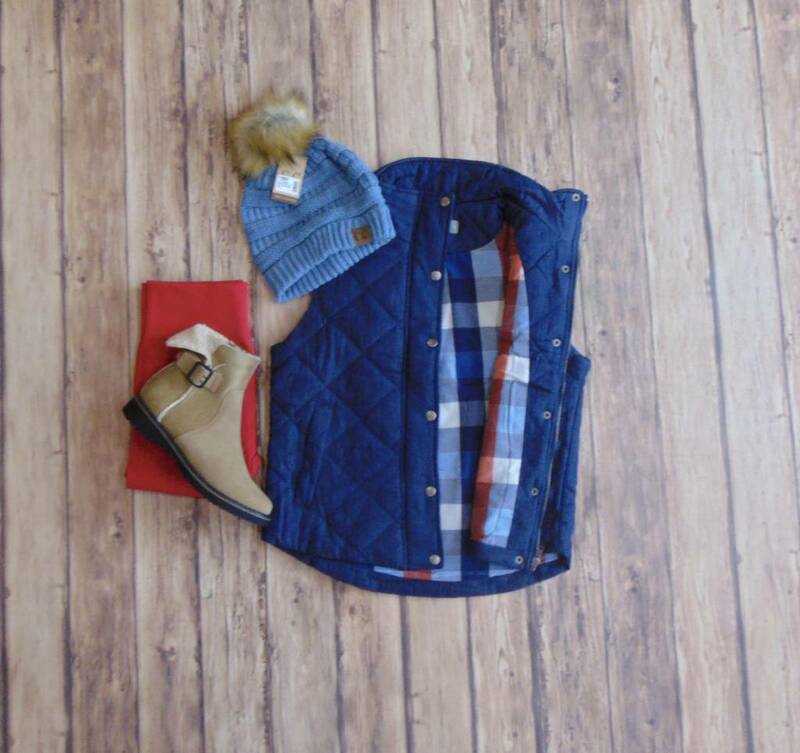 Fully lined quilted denim vest with pockets, plaid lining and zipper/snap closure. Layer this over any of your favorite Winter looks for an extra layer of warmth and style.